A new piece of OS X malware has been uncovered, and it's a nasty strain of malicious software which has been adapted to target Mac users. The so-called Mokes malware was discovered at the beginning of this year and has already hit Windows and Linux users, and is now a worry for those with an Apple computer following the discovery of the latest flavor: Backdoor.OSX.Mokes. 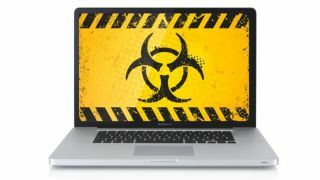 When it infects a Mac, the malware sets up a link with its command and control server (communicating using AES-256 encryption), and sets up various bits of backdoor functionality, leaving a wide range of tricks available to the perpetrator. As the security firm which spotted this malware, Kaspersky, observed, this includes the ability to record keystrokes (such as passwords), rifle through Office files (Word and Excel), use the webcam or mic to capture video or audio, and it takes screenshots too – along with allowing the attacker to execute arbitrary commands on the compromised computer. A whole lot of hurt, in other words. See also: The 10 best PCs of 2016: which computer should you buy? It's not known how widespread this latest spin on Mokes is, or how much of a danger it currently represents, and Apple certainly hasn't said anything about the malware at this point. Cris Thomas, strategist at Tenable Network Security, noted: "Apple will most likely push out a signature update shortly, and users should have automatic updates turned on so they can get the new signatures as soon as possible." Meanwhile, last week we also heard about the Pegasus malware which affected not just iOS devices, but also OS X computers, allowing an attacker to spy on your device – though Apple has already issued an update to patch the vulnerabilities which this exploit leveraged (check out the full details here).